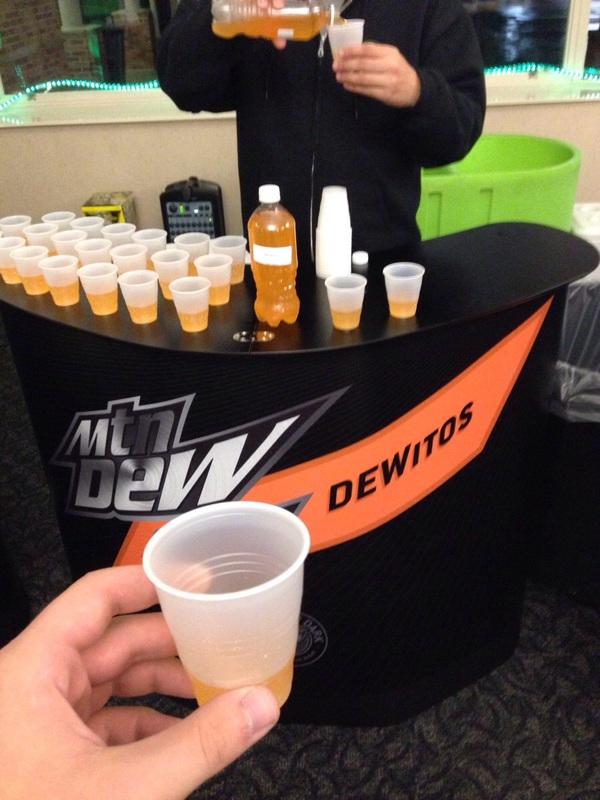 What looks like Mountain Dew, tastes like Doritos, and sounds just awful? 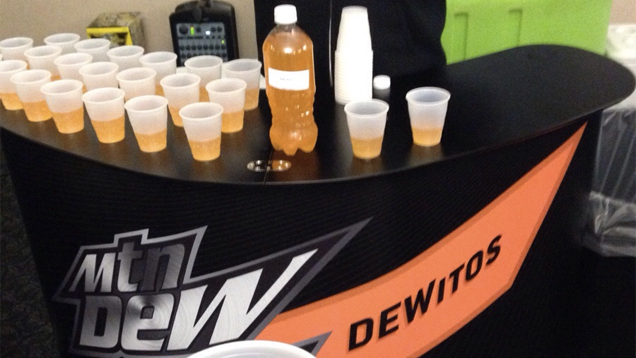 If you guessed "Dewitos," a new soft drink concocted by the food criminals at Pepsi, congratulations, you're qualified to be an executive at America's largest food and beverage company. Given that both products are marketed toward the same X-treme(ly sedantry) demographic, the Dew/Doritos collaboration was something on an inevitability, but it's hard not to feel as though some important line has been crossed by the junk food crossover.